Joe is currently our youngest contributor, but he does acknowledge help from his father. Use the wasd keys to guide the snake to the fruit and gain ten points for each fruit that you eat. Toggle your speed between slow and fast with the space bar. We like the code and advise beginners to have a good look at it to see how to move a character around the screen. The program uses the Crt unit so it is easier to try it in Lazarus than in Delphi. You need to insert your own code if you want to display your score (scr). //This is the start screen. 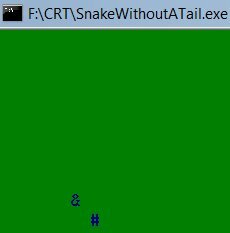 Can you add a tail to the snake?